Shannon Whitworth and Barrett Smith, Reid Jamieson, The Big Bright & more! The State of Folk: A Post-Fest Preamble Plus EXCLUSIVE live Beatles covers from Falcon Ridge 08! Gee, but it’s great to be back home. And bearing gifts, including an exclusive live Beatles tribute concert, recorded this past Friday in a sunny field in Hillsdale, NY, which you’ll find just down below. Regular readers may remember that I’d hoped to have a Utah Phillips tribute set to share today. Unfortunately, a freak hurricane-force thunder-and-hailstorm and torrential downpour mid-afternoon on Sunday brought several major event-sized tents down, flooding roads and washing away tentsites, soaking sound equipment, and generally turning the encampment into something just shy of a post-apocalyptic landscape, bringing an early end to the Falcon Ridge Folk Festival just a few hours before that eagerly awaited set could take place. Here’s a video taken from the storm (by Coriform). If you look to the left as the camera pans, you’ll see a golf cart parked in front of a white lump — that lump is actually the flattened remains of the site crew/ice/information tent, which collapsed on me and a couple of dozen others in high wind and heavy lightning, driving us out into the hailstorm. Scary. You can also read first-hand accounts from multiple festgoers at this livejournal thread. It is, genuinely, a miracle that no one was seriously hurt, and a tribute to all the site organizers and volunteers that we managed to get everyone out safely, and with their sense of humor fully intact. And it says what it needs to, I think, that I’m already looking forward to next year’s fest. And now, the news: something big is happening to folk music. Despite the rocky ending, spending time at both a major bluegrass festival and a major folk festival in rapid succession over the past two weeks provided no small insight into the ways in which the musical landscape is changing, and why. I saw and heard plenty which helped me understand why many folk bloggers have recently started “going bluegrass”, for example…and plenty, too, which shed light on the funny relationship between americana and alt-country and indie music and other folk forms, something which we have spent no small amount of time describing over our few months here at Cover Lay Down. More broadly, a look at label-run merch tables, and at other festival and coffeehouse line-ups via fest-posted programs and tour schedules, provided a decent sense of the full circuit — since who’s recording, who’s touring, and who’s headlining, is a pretty good indicator of what people are going to perceive as the core of currency in folk when the festival season dries up in late Autumn. I’ve fallen in love with the work of multiple newcomers, garnered new respect for a few more familiar faces I had previously underestimated, and decided that I still do like the narrative-laden one voice, one guitar singer-songwriter folk music which has, for the last few decades, been at the core of American folk, even if it is no longer so central as to be definitive. In trying to identify this shift, I am especially indebted to fellow ‘casters and fans, promoters and musicians, who took the time to help me groupthink the modern folkworld, most especially Kristin Andreassen (of Uncle Earl and Sometymes Why), Lindsay Mac, and Joe Crookston, all of whom made time to chat with me about the state of music and the music business from the performer and songwriter’s perspective. You’ll hear those names come up again as, over the next few weeks, we use our continued journey together here at Cover Lay Down as a platform for exploring the current state of folk music, and how covers can help us both understand and anticipate the near future of folk. Right now, thought, I’m still a bit shaken from the storm and its aftermath. So while I try to organize my thoughts a bit, here’s the majority of the Beatles tribute workshop, taped by yours truly on a little iPod with Belkin voice-recorder attachment from the foot of the Falcon Ridge workshop stage late Friday afternoon. I haven’t trimmed the tracks yet, so intros may be a bit long…but if you want to get a sense of what it was like to be there in the moment, this is about as good as it gets. I’ve starred my favorites, for those who just want a sample: Anthony da Costa’s gorgeous, torn rendition of I’m Looking Through You; Joe Crookston’s mystical banjo-led take on Norwegian Wood; Randall Williams’ powerful, soaring version of Lucy in the Sky With Diamonds. I’d have starred Lindsay Mac’s incredible rendition of Blackbird, too, if the bass notes of her cello had not fuzzed out my admittedly low-tech recording; I’ve included her live take here anyway, as a teaser, but keep an eye open for Lindsay’s upcoming sophomore album (release date Sept. ’08) for what promises to be a beautiful, pristine version of the song. Thanks to all my guest posters, who shared such powerful words, perspectives, and song in my absence; it’s a truly wonderful thing to come home and find the place in better shape than you left it. We’ll be back Sunday with the first of several subgenre- and artist-focused posts from this year’s festbest and brightest. John Lennon died 27 years ago, on December 8th, 1980; I was seven, and the event was meaningless. But since then, like every one of you, I’ve absorbed the Beatles canon — which means, among other things, recognizing the loss of musical potential and statesmanship that marks Lennon’s passing. Mostly, it’s the statesmanship I recognize. Though each Beatle — both the still-going and the dearly departed — went on to a fruitful solo career after the band broke up, for me, the Beatles as a cultural phenomenon are as much more a sum of their parts as they are musically. I mean, I know the music blogosphere is full of powerful Lennon tributes tonight, but by definition music blogs promote that which you haven’t really heard yet. Ask the average non-audiophile to sing a Beatles song, and the odds are they know dozens; ask them to sing a post-Beatles song, and they might be able to mangle their way through the first verse and chorus of a radio hit or or two. 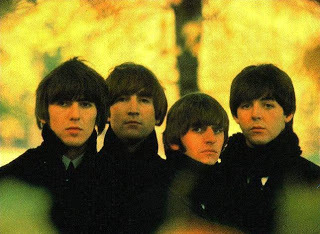 Of course we know Beatles songs; it’s not like we have much choice. Over three centuries past their break-up, it remains a cultural rite of passage to grow familiar with the works of the Beatles. But their solo work has credibility on a smaller scale. As a member of the first post-Beatles generation, I never really took to the work of Paul or Ringo, with or without bands and mates, and my sense of the genius of Harrison and Lennon was mostly a peripheral awareness that there was more there than I was seeing from a distance, that some day I might like to listen to their work a little more closely. In many cases, it was covers that brought me to to appreciate the continued later-in-life talents of the Beatles boys for what they were: individual talents, still powerful without each other. Great songwriters live forever, in the coverworld. That there are so many wonderful folk covers of the songs of the Beatles boys, both pre- and post-breakup, says what it needs to about their individual talents. Today, in memory and in honor, over twenty coversongs from the fringes of the folkworld, our largest post ever here at Cover Lay Down. Including stellar folkversions of songs from the solo careers of Paul, George, and John, and some signature Beatles songs generally acknowledged as primarily a product of a single Beatlesboy. Plus a second set of select covers sung by a few of the boys themselves, as a little bonus. I’ve thought long and hard about how to direct you to purchase and support today’s coverartists, but ultimately, I decided that today is about George, Ringo, Paul, and most especially John. If, after you hear these incredible covers, you want more information about the recent and universally awesome albums of the artists covering these songs, ask me about them in the comments, or head on over to good old google, type in an artist’s full names in quotation marks, and hit “I feel lucky” to buy direct from any artist’s website. previously: Covered In Folk: The Beatles, Part 1. Covered In Folk: The Beatles, Part 1 "More popular than Jesus"
The Beatles canon is etched indelibly on the popular psyche. On one level, these are all folk songs, if only by their memetic virtue. Sooner or later they are played on every busker’s corner. And every one of us smiles and sings, faintly, under our breath as they pass by. And one reason the songbook sticks so well in the brainpan is how simple, how elegant, how open the pages are to interpretation. Chords, lyric, tone and timbre, their mutability in the hands of even a single genre is astounding. I have almost as many folk covers of Beatles songs as I do covers of Dylan songs. Most are excellent. 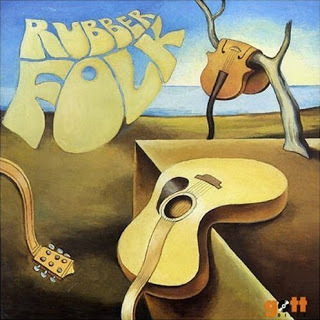 Today, I’ll be using our first of what promises to be a very fruitful Covered In Folk series on the Fab Four to introduce a few deserving folksingers and coversources we just plain hadn’t heard from yet. For some reason, today’s songs all begin with the letter I. That last cut, at least, is from This Bird Has Flown: A 40th Anniversary Tribute to the Beatles’ Rubber Soul. You need this record; happily, the folks who made it want to sell it to you. The Sam Phillips cover is from a recent all-covers soundtrack to Crossing Jordan; the soundtrack is so amazing, it almost makes me wish we had television in my house. You’ll be hearing more of this disk here over the next few years, but get it now, because CD Universe has it for under 8 bucks! Now That I’ve Found You, a collection of Alison Krauss covers and B-sides, is available direct from the Rounder Records label; it’s a great CD to start with if you don’t own any of her work. Songwriter and mistress of coversongs Allison Crowe beat out Johnny Cash, Ben Lee, Chantal Kreviazuk and Shawn Colvin covers of In My Life at the last minute. Buy or download all Crowe’s albums via Rubenesque – her own label – and you’ll know why this Canadian youngster is one to watch for the next half-century. 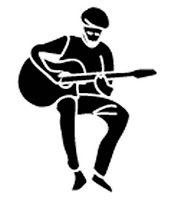 The Paperboys bring in da Canadian Celtic folk-rock via CD Baby so you can bring it on home. They do a great All Along The Watchtower, too. I first encountered Peter Mulvey at the 2003 Green River Festival, where he appeared as part of lo-fi folk covergroup Redbird along with folk blues artist Jeffrey Foucault and his recent bride, the full-voiced Kris Delmhorst. Though at the time I was more impressed with the others, it is Mulvey’s interpretations I keep coming back to — though Delmhort’s work is sweet simplicity, and Foucault can play the blues like nobody’s business, it is Mulvey who has the versatility of the true cover artist, and the knack of bringing new meaning to a wide breadth of song. Peter Mulvey fans speak mostly of his songwriting and guitarplay, which play off the similar strings but equally defined style of his constant sideman and collaborator David “Goody” Goodrich to create a rich slackstring sound; Mulvey’s voice falls more into the Tom Waits and Dylan camps, full of feeling but hardly melodic. As a member of Redbird, this lends a rough edge to harmonies. As a solo cover artist, though, the spare voice recasts lyrics powerfully. Nowhere is this more evident than in Ten Thousand Mornings, a 2002 album of covers — the up-and-coming folksinger’s bread and butter — recorded live in Mulvey’s old stomping grounds: the Davis Square subway station just outside of Boston. It’s a neat concept, designed to call to his roots as a struggling busker, and it works exceptionally well: the echoes of the brick and tile underground lend an air of realism, and the trains and passersby screech and shuss, becoming part of the music, making the experience — and the songs — truly live. 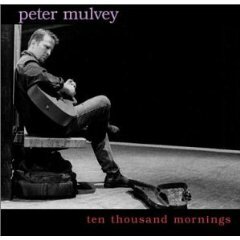 Ten Thousand Mornings is one of many fine Peter Mulvey records from folk label Signature Sounds; Mulvey sells them directly through his website, so you know where he prefers that you buy them. And now you know why you should, too.